Excuse me while I fangirl. This drama has turned me into an utter and complete fangirl content on grinning like a loon when I watch it. The fact that its amazingly good is just icing on the cake. In A Good Way turns back the clock for me, plops me right back into the heady days of college when the thought of exams was always around the corner but the fun times with friends was always available. I can remember the cutest boy on campus, the renowned pretty icy queen, the jonesing and the petty conflicts, the pratfalls and the little successes. It really did happen, and in this drama it’s all happening in the most entertaining to watch dramatic way. Episodes 1 and 2 were really good, but episode 3 was phenomenal. It continued using interesting campus escapades so the characters can naturally interact as well as learn about each other. Who knew feeling spurned over the last chicken drumstick could lead to issuing a challenge to a duel? Who would have thought watching six guys washing a dorm’s supply of laundry would be a bonding experience? And who would have suspected that being turned down to attend a live concert would end up with going on the most amazing motorcycle ride concert date EVER. Who else kept rewatching Jia En and Liu Chuan’s squeeworthy date at the Wu Bai concert? That motorcycle ride to the concert had this low key sweetness and a freighter’s worth of chemistry with nary a word spoken. Then Liu Chuan grabbed her hand and they raced into the concert and I was a goner. Between them and the perfection that is Wu Bai & China Blue‘s early hit song “牽掛” (You On My Mind), episode 3 entered a whole new level of simmering chemistry not to mention a time jump that was so unexpected but hit the spot. I’ve gotten an HD quality video so this recap has been brought to you with gorgeous HD stills, plus I’ve thrown in a video as well. I’ve also read the written preview for episode 4 and it’s going to be more OTP awesomeness of the treasure hunting variety. I can’t wait! If you love a believable developing romance, this drama is for you. Liu Chuan describes the Chinese code book to Jia En and explains to her how the most basic code works. 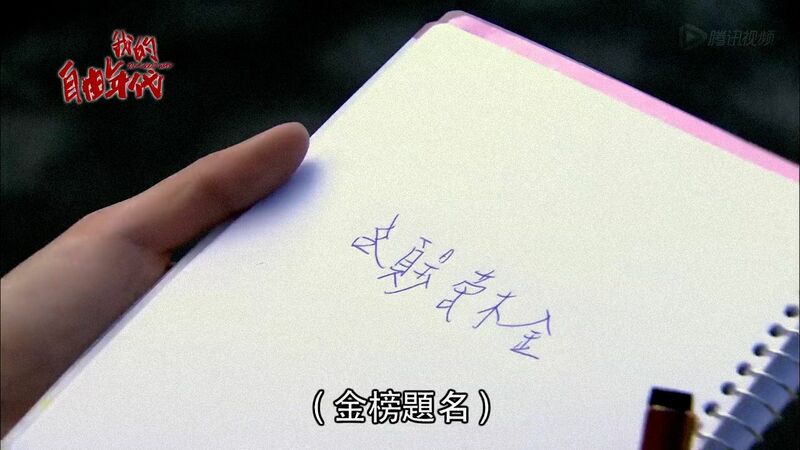 The idea is to write backwards and Liu Chuan explains Da Vinci did it to prevent people from stealing his ideas. Normally only geniuses could write characters backward in freehand. His grandfather taught him and Liu Chuan shows her. She pretty much stares at him in awe for how smart he is. Even better? Liu Chuan wrote “Top of the Banner” backwards and gives it to Jia En, which is a Chinese saying wishing that she gets top place in a test. Qing Yo runs into the two of them at the antique market and thinks Liu Chuan ditched him to go out on a date with Jia En. She says it wasn’t a date and she came to find Liu Chuan herself. The guys walk away with Qing Yo totally going “yeah right….”. 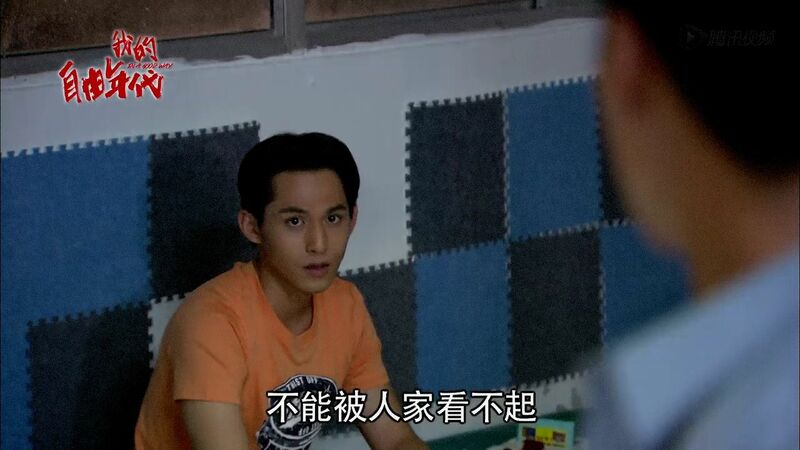 Ren Wei is in his dorm room with roommate Ah Di doing their usual thing. He gets fed up and says Men of Steel can’t spend their days reading comics, playing video games, and raising their tomogachi chickens! That is why they are not out making a name for themselves. Ah Di says they have no reputation to speak of to begin with and now whatever reputation they could develop has been shot for what they did by tossing Jia En under the bus which is seen as a huge betrayal. He says their nickname is now Tattle Tale (in Taiwanese slang, heh) around school. Ren Wei totally refuses to accept that insult and says he will reclaim their lost reputation. Ah Di says no one cares because they are invisible on this campus anyways. Ren Wei huffs and says he will change that. He tells Ah Di to feed his tomogachi chicken before it dies and then sits down to think. The next day Ren Wei stops Bai Xue outside of class and tries to smoothly explain that there seems to be some misunderstanding. 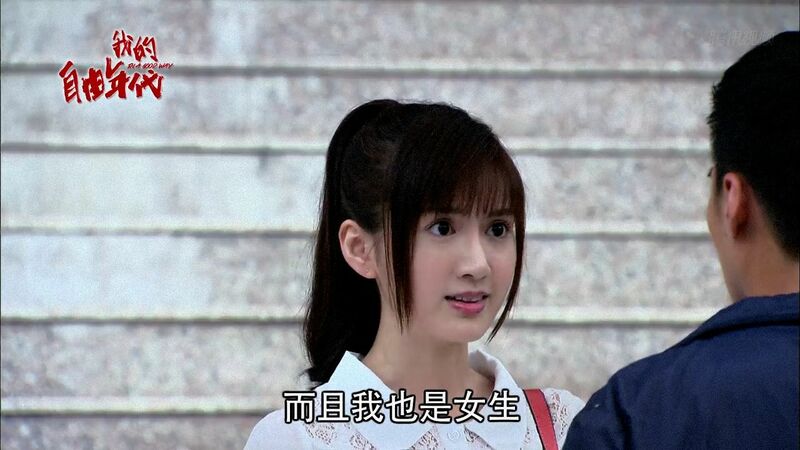 There is no misunderstanding for Bai Xue, she thinks Jia En should hate Ren Wei for what he did which was so wrong. What he did was very immature that day and he didn’t think about what Jia En would feel. Bai Xue is not close to Ren Wei or asked for his help that day. In contrast, the way Liu Chuan stepped up to clear both girls names was in a way that hurt no one. Bai Xue leaves Ren Wei to think over what she said but he’s still smarting over everyone thinking Liu Chuan can do no wrong. 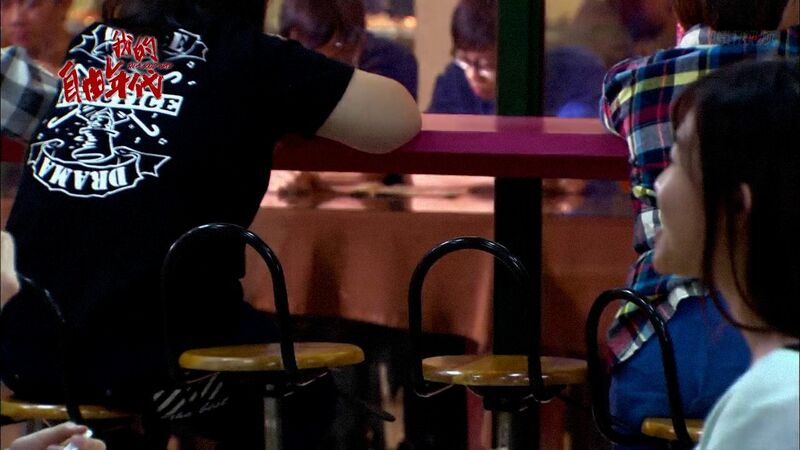 Ren Wei goes to the cafeteria and find an empty table to sit down. He notices some girls staring and Ren Wei is about to preen when one girl comes over to ask if he can move. That table is reserved for The Three Musketeers and the girls arrived early to snag the next table over so they can sit by those guys. Ren Wei says the table isn’t reserved for them but the girls beg him to move saying otherwise they will be so disappointed. They point to two empty stools by the wall, which are tiny spots wedged between two people. In the end Ren Wei and Ah Di move and squeeze themselves onto the stool. LOL at the visual of this scene. The third of the Three Musketeers returns to school after a bike trip. His name is Ri Qi and Liu Chuan and Qing Yo welcome him back and the three head to the cafeteria to catch up. Their arrival together causes all eyes to be on them, which increases Ren Wei’s annoyance at how popular they are and how insignificant he and his friends are. The Three Musketeers sit down and Bai Xue joins then, leading to Ah Di to sigh that they look like the prince and princess of the fairytale books. Ren Wei goes to grab their lunch and tells the lunch lady that he wants to switch a pork chop rice to a drumstick rice. The lunch lady says the last drumstick is saved for Liu Chuan, which pushes Ren Wei past his breaking point. He turns around and yells “Liu Shan Feng!” on the top of his lungs. Everyone turns to stare at him and Ren Wei marches over to Liu Chuan’s table and challenges him to a duel! Liu Chuan asks why issue a challenge and Ren Wei says he thinks the Three Musketeers are too arrogant. Ren Wei wants to prove that a real man is about his guts and determination and he will prove it. Liu Chuan smiles and accepts. It’s on, baby! 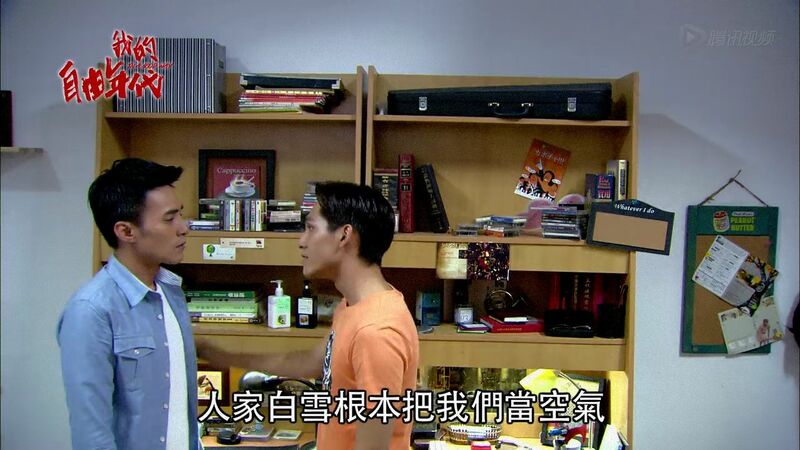 Ren Wei and Liu Chuan sit in the dorm facing each other, with their roommates flanking them. Talk turns to what activity to duel over? Ren Wei decides it will be a mountain bike race and loser will have to wash all the laundry of the residents of Men’s Dorm #1. Ren Wei is back at the tea shop with Ah Di discussing the upcoming race. Already they are one man short since Zai Zai got called home because his grandpa is sick. Ah Di doesn’t understand the need for a challenge especially since they are just going along fine at school. Ren Wei doesn’t think so, he thinks people look at them as fools and today he had to suffer the shame of having his drumstick taken away for Liu Chuan. Jia En doesn’t understand what all the fuss is about, it sounds like much ado over a drumstick. Ren Wei says its about his dignity and respect in this school, and the reason the Men of Steel are being shamed now is all because of Jia En. If she didn’t spend the night with Liu Chuan which led to him outing her and getting a reputation for being a tattle tale. Jia En asks him if he would quit the race if she asked him to. He says no, and he’s especially upset she’s not supporting him. It was Jia En who came to Taipei and disrupted his college life. Now all he wants is her support and she won’t even give it. What kind of friend is she? Jia En says she’s a good friend, she’s already forgiven him and doesn’t care what people say about her. It’s Ren Wei who is trying to save face. Ren Wei says this is not about face, its about a man’s pride! Ah Di tells them to stop arguing and go find a good bike. If he is going to lose at least not lose that pathetically. Ren Wei says he won’t lose and he’ll regain his pride for everyone to see. 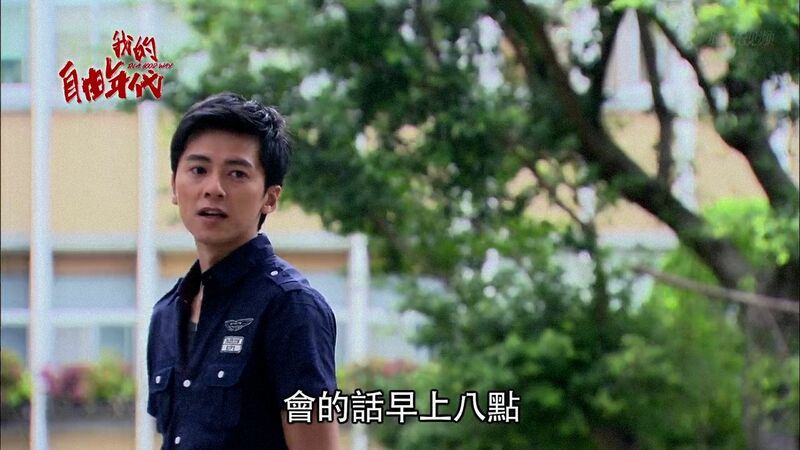 Ren Wei runs into Liu Chuan and Bai Xue at school. He’s there to give Bai Xue some water and says he’ll win if she comes. 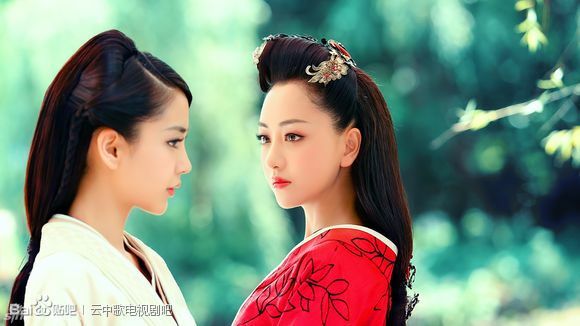 Bai Xue warns him that it’s not easy to win over Liu Chuan. Ren Wei vows to win. Liu Chuan promises he won’t go easy on Ren Wei. Liu Chuan is exercising Momo when Jia En runs into him. She asks to play with Momo but Liu Chuan is on his way to class. He walks away when Jia En asks why he’s not practicing for the race? She figures he doesn’t need to care much about such a trivial matter. Talk turns to the upcoming race and Jia En isn’t sure who she should cheer for. On one hand she worries that Ren Wei losing will make him upset, but she also wants to cheer for Liu Chuan. He explains that winning or losing doesn’t matter but the process that counts. Liu Chuan asks Jia En what she’s doing next? Jia En says she doesn’t know but she knows that can’t be clinging onto Ren Wei. Liu Chuan smiles and says how come it feels like she’s gone from clinging onto Ren Wei to clinging onto him? Jia En says she came to ask him a math question actually so they sit and he helps her solve it. As Liu Chuan walks away, he asks if she’s coming tomorrow to the race and if so then arrive at 8 am. Race day arrives and the two racers along with a bevy of onlookers are gathered at the starting line. Jia En arrives with a smile. Everyone is surrounding Liu Chuan and Ren Wei vows to beat him. The race begins and the two bikers are off, with their roommates following on scooters to clear the road. Liu Chuan slowly jumps to a lead but Ren Wei has got the determination and keeps in the game. Liu Chuan is far ahead when he makes the turn back and his roommates urge him to show no mercy and don’t slow down. Ren Wei falls off his bike during the turn and both Qing Yo and Ri Qi see it. As Liu Chuan nears the finish line, he hears from Qing Yo and Ri Qi that Ren Wei took a fall and is even farther behind. 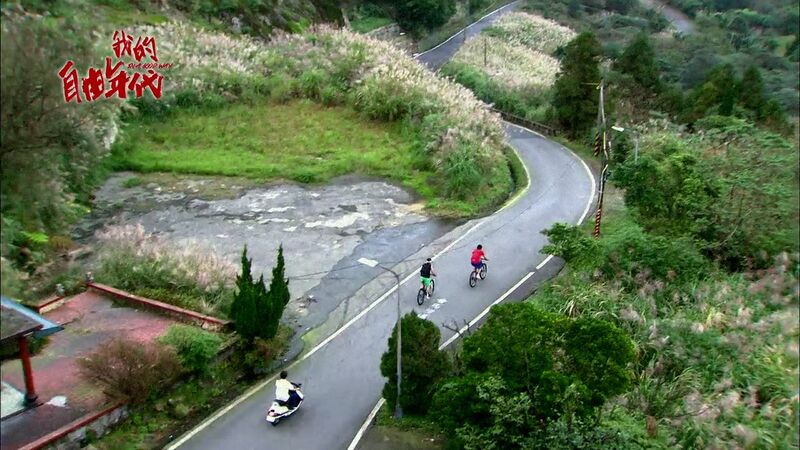 As he is literally about the cross the finish line, Liu Chuan turns his bike around and rides back to help Ren Wei, who has fallen again but insists on getting up because he has to finish the race. Together Liu Chuan and Ren Wei walk their bikes across the finish line together to the cheers of the entire crowd. Everyone is impressed with Ren Wei’s determination as well as Liu Chuan’s sportsmanship. Jia En gives Ren Wei water and congratulates him. He asks if he’s gotten his dignity back and she assures him that he has and everyone here agrees. Bai Xue offers Ren Wei a bottle of water and a smile which fills him with absolute joy. Liu Chuan is very happy because he got to compete in a race where there was no loser. 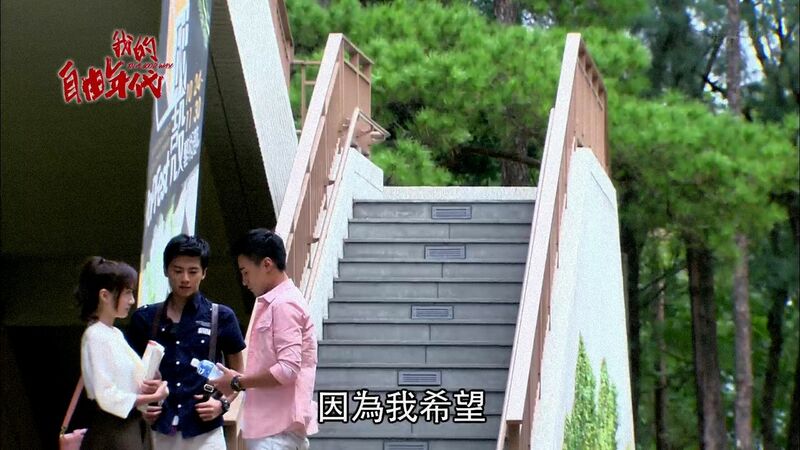 Both Bai Xue and Jia En walk up to Liu Chuan at the same time and offer him a drink. Eeeps, mild awkwardness all around. 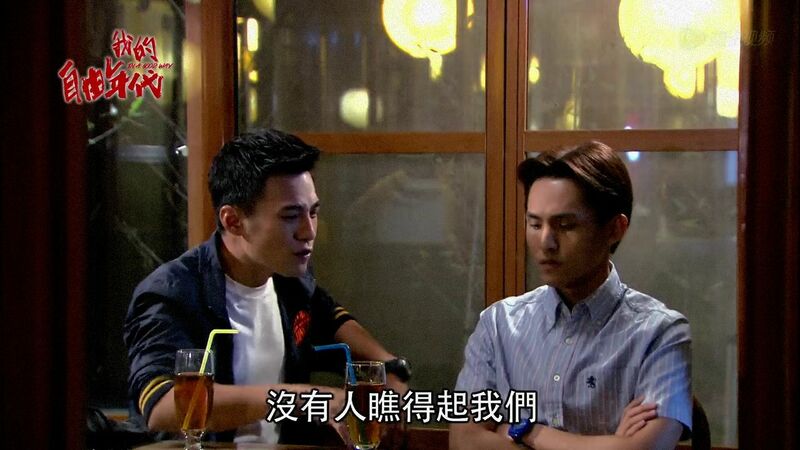 He takes both drinks and introduces the two girls to each other, explaining that he tutors Jia En. Ri Qi hasn’t gotten the down low so wonders about the odd mood with those three. Mary announces the winner as Liu Chuan since he would have won as well and Ren Wei happily accepts the defeat along with the laundry penalty ahead. His roommates step up and offer to do it with them. Mary snaps a picture all of the students while Jia En stands to the side and smiles wistfully since she’s not a college student. The Men of Steel arrive at Men’s Dorm #1 and collect all the laundry and find teaming messes of men’s nasty dirty clothes. They are in the laundry room washing it all by hand when Liu Chuan, Ri Qi, and Qing Yo walk up. Ren Wei thinks they are here to gloat but the Three Musketeers simply pull out wash boards and ask if there are any extra wash basins. The guys get to work doing the laundry and Ren Wei mutters a curt thanks to Liu Chuan, who in turn thanks him for showing what the determination of the Men of Steel looks like. Jia En receives an envelope in the mail from record company Rock Records which contain two tickets to a Wu Bai & China Blue live concert event. Turns out last Summer back in Pingdong she filled out a contest to win tickets with Ren Wei, who thinks she’ll never win but she says one never knows. 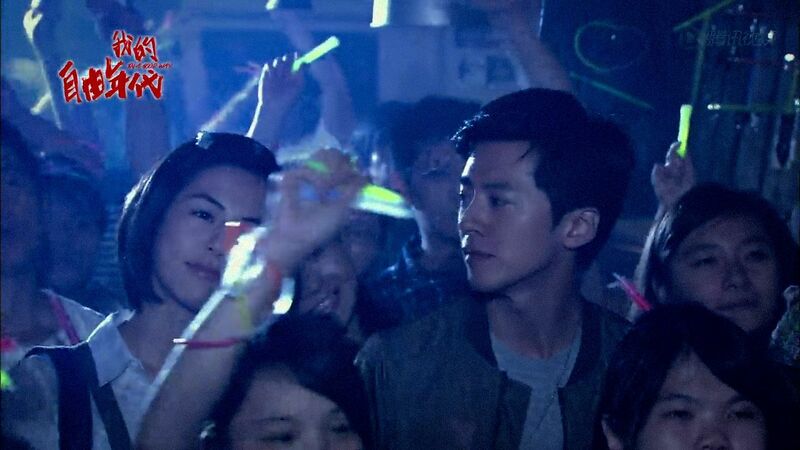 She happily heads out to invite Ren Wei to the concert with her since they both love Wu Bai’s music. Ren Wei is having a celebratory hot pot dinner in his dorm room with a bunch of guys to celebrate how the Men of Steel made a name for themselves through the race. Jia En arrives and Ren Wei turns down the concert saying he can go see Wu Bai anytime now that he lives in Taipei but this celebration is very personal and his accomplishment. Jia En leaves disappointed and Ren Wei actually looks at her leave and seems to feel bad. 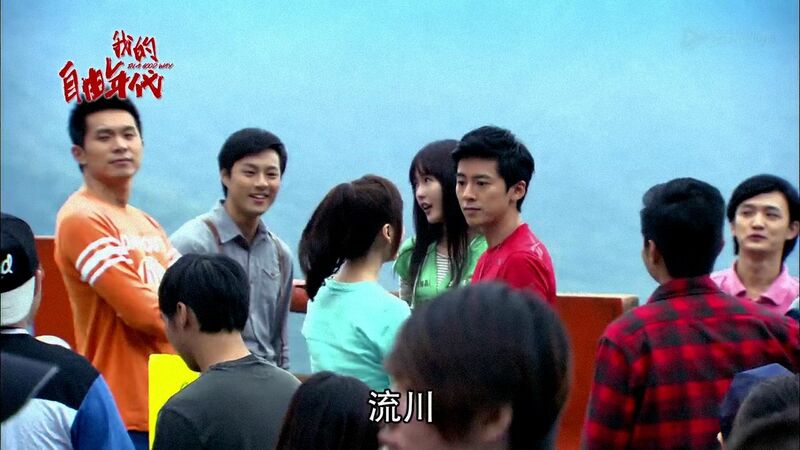 Jia En runs into Liu Chuan on his way back to the dorm after run. He hears about her dilemma, winning tickets to a Wu Bai concert but Ren Wei turned her down and she’s doesn’t want to go alone. 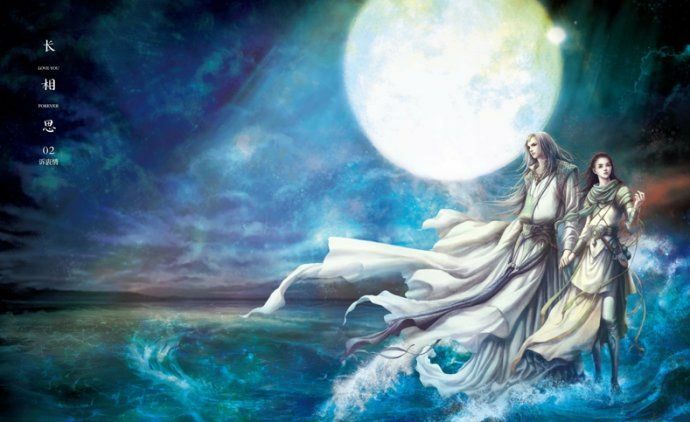 Liu Chuan suggests doing things alone is a good experience as well. She asks if he would go alone and Liu Chuan says of course. Jia En is clearly not ready to be that brave and looks rather torn. Liu Chuan asks if she really wants to go and she does so he tells her to wait for him. He’ll go change and take her. Jia En happily agrees. Jia En waits for Liu Chuan and he rides up on his motorcycle. She gets on and off they go into the Taipei city night. 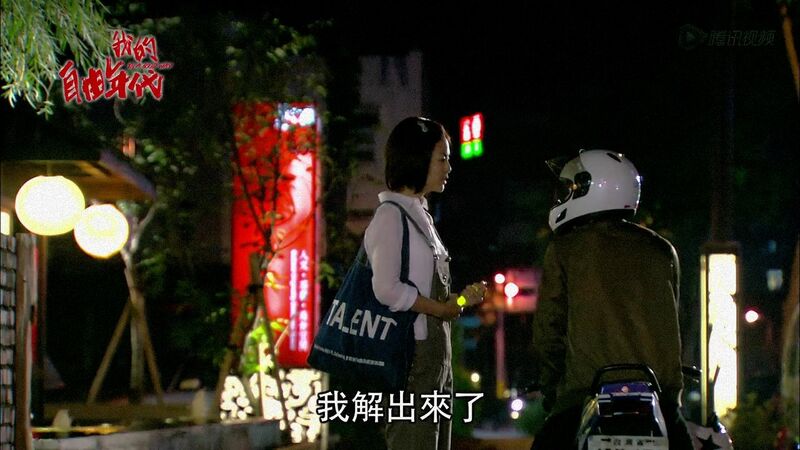 I can’t tell you how many times I’ve watch this scene (too many to count) where Jia En experiences Taipei on the back of Liu Chuan’s bike set to the music of Wu Bai. Liu Chuan lifts up his helmet flap and turns to look at Jia En during a stop and she smiles back at him. It’s wonderful, especially the moment when he revs the engine and she grabs his waist before feeling awkward and quickly letting go and how he turns around to look at her before turning back and continuing on. They arrive at the concert and both of them hop off to run in since it’s already started. Liu Chuan turns and sees Jia En is a few steps behind and he stops and pulls her hand along as they run together. Swooning forever here. Liu Chuan pulls Jia En deeper into the crowd as Wu Bai & China Blue are performing “On My Mind”. Jia En is really into the concert and so is Liu Chuan except he keeps turning to look at her and smile at how much she’s enjoying herself. Liu Chuan drops off Jia En after the concert and asks if she had fun. She did and never realized that a live performance could be so different than on CD. She thanks him for taking her today. As Liu Chuan rides off, Jia En runs after him and he asks what she wants? Jia En tells him that she solved the math problem and gives him the correct answer. She follows up by saying she wants to do things herself now and not rely on other’s help. That means he doesn’t need to tutor her anymore. After she saw Ren Wei at the race, she realized that if she tried to do thing by herself others will always step up to support her. Liu Chuan understands and wishes her luck. Before he leaves, he turns and tells her “CDU welcomes you”. A montage of Jia En studying and delivering tea as she voiceovers that it was years later that she realized her insistence on doing it alone during this time was actually over-compensating and not independence. In the end, she didn’t get into her first choice Taiwan University Foreign Languages major, but instead for into her third choice Cheng Dong University Foreign Languages major. Liu Chuan walks past the list of the incoming freshman and he pauses to scan the list until Ri Qi calls him away to prepare to welcome the new student to their major. At the orientation for the Foreign Languages major, the seniors are going to choose a name of a freshman to serve as their mentor. Bai Xue goes first and the name she picks is Jia En, which she clearly recognizes because she pauses before reading it. Jia En, now with long hair, stands up and the two girls smile at each other. Though Bai Xue’s smile is so forced it ought to crack, whereas Jia En looks as optimistic and fresh-faced as ever. Time jump! Totally unexpected but nicely done to bring Jia En right into the college campus of CDU as a student. I enjoyed how the first three episodes were her looking in from the outside, but now she’ll be a part of the world that Ren Wei lives in. Jia En and Liu Chuan have the strangest relationship. It’s not really friends, the tutor bit was just an aside, and their chemistry and awareness of each other is both visceral yet not overly emphasized. It’s there but there isn’t a spotlight purposely shining on it. It’s just so refreshing to watch and hits all my happy spots. I thought Ren Wei was redeemed admirably in this episode, still hotheaded and prone to foot in mouth disease, but ultimately he is a good kid at heart. I’m not annoyed that he is like a flaky friend to Jia En because that appears to be their entire friendship and she’s the one always seeking him out to keep her company. At the same time, he would have her back if she needed him and that’s why they are more family to me than potential romantic interests. I’m not averse to a love triangle but it just isn’t there with Ren Wei and Jia En. Whereas I could see Bai Xue really making a play for Liu Chuan though he’s shown zero interest in her. I’d say he’s a nice guy to everyone, girl and guy alike, but there is something more when he interacts with Jia En. Qing Yo can see it and he’s Liu Chuan’s best friend, but since it’s not very proactive everyone just lets it be. I hope the drama starts chipping away at Liu Chuan’s impassive shell and showing us that he’s capable of very strong emotions when the moment arrives. Right now he feels like the narrator looking in more than a participant but he’s so fascinating to me. His interest in puzzles and code and antiques must have something to do with his family background. If Jia En is like an open book, the Liu Chuan is a complicated code that needs the key to be cracked. All signs point to Jia En affecting him in ways beyond his usual platonic niceties, what with all the staring that seriously makes me blush even though it’s not directed at me. I never thought of charisma as subtle but you are so right. Aw! This is getting so cute! Slice of life dramas are always my favorite…especially when the romance is so realistic. 🙂 Thanks for the recaps! HAHA, I loved the chicken drumstick part! I legitimately felt so bad for Renwei that I didn’t even think he was being dumb for issuing the challenge. I was afraid it would cause needless tension, but thank goodness it was the complete opposite. This show sounds really good and I have been meaning to watch a new TWdrama for a while. It kinda reminds me of Skip Beat in the sense she fallowed her friend to the city. The only thing I am concerned about is how long it will be because at the end of Jan I am going out of the country to area without internet for a few months so I don’t to start watching now if I cann’t finish before then. Can someone please tell me how many episodes it is schedule for? And what days it comes out on? It’s going to be at least 18 eps, and probably closer to 22-25 eps. It airs in Taiwan on Fridays at 10pm. Thank you for the recap! Ditto on the blushing. I finally got Lui Chan’s name. I kept referring him as the basketball player… teehee. 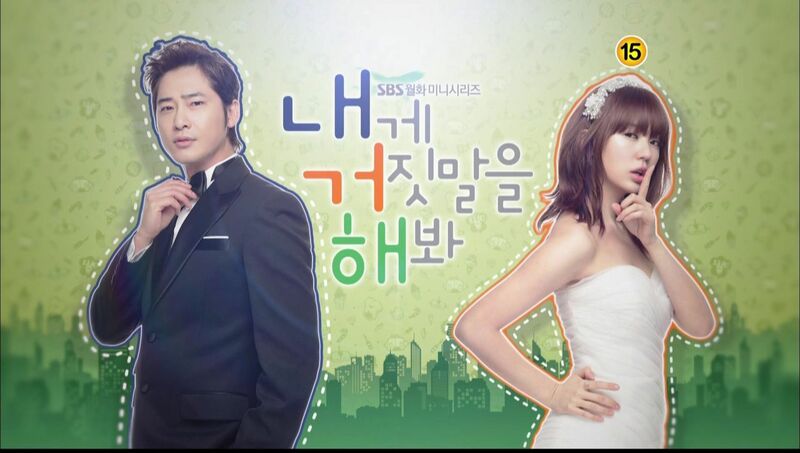 Love this drama. LOVING this so far! It’s definitely got a different vibe from all of the dramas I’ve ever seen. Now if they can keep this pace up. 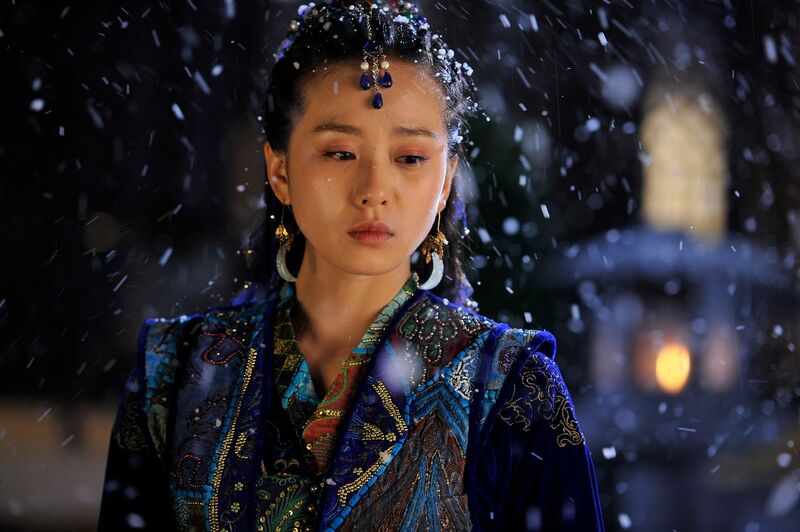 I really hope they don’t make bai xue a mean girl. Really enjoying this drama. Thanks for the recap!! AH!!! thank you for the recap!! I had a feeling you were going to put up ep 3 today in order to recap it live tomorrow. I loved this episode and cannot wait for the fourth one tomorrow. The show reminds me of Answer Me 1997 with its nostalgic school setting, but it also has a different charm to it than the mystery Answer Me always keeps in the back of your head. With the Reply series, while I do enjoy and love it, I tend to be more focus on the mystery game of who’s the husband, that I don’t enjoy the process as much. Not till the end of the the reply 1997 did i enjoy the character interactions. Reply 1994 is still causing shipping woes for me (it is still super fun to watch of course). Especially since the show obviously is trying so hard to trick us with stand ins and present time teasing, that it looses that nostalgia of the 90s. I agree! 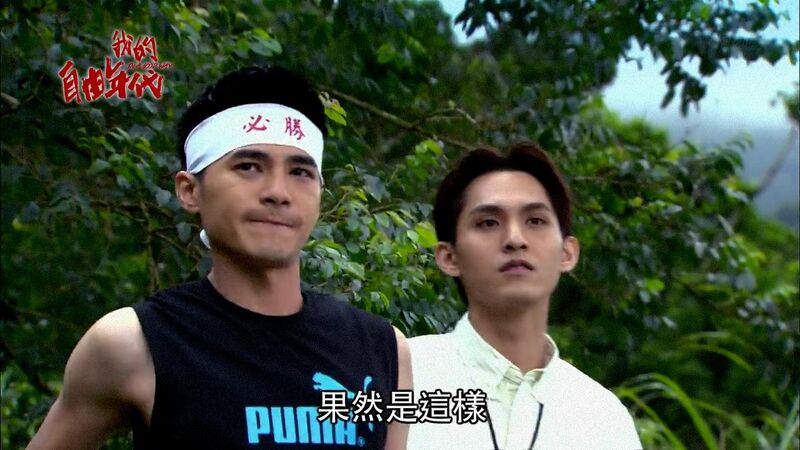 I thought the show handled Jia En’s frustrating transference of dependence to Liu Chuan very well; they had the bike race that taught both Jia En and Ren Wei some lessons, and brought the guys closer together as well. As much as I appreciate the look back on music, it’s a pity the era is too early for Mayday. My favourite Mayday songs are their early Taiwanese songs, the latest albums don’t have the same feel. Me Me ME!!! I kept rewatching the Wu Bai Concert/Motorbike date for countlesss times and that’s the reason we need HD version video because LQ videos won’t do that scene any justice. No dialogue is needed for that scene, just from them looking at each other makes me squee like a rabid fangirl…. The time jump is totally unexpected to me but appropriate and I think it’s a good one because Liu Chuan and Jia En know each other for 1 year+ but their relationship is still quite slow-moving and feels natural. This 1 year time jump is essential to Jia En’s growth and to include her into CDU. Jia Eun’s pushing Liu Chuan away and the time jump was unexpected and good. I like Jia En’s commentary, how eventually you realized things and events have shaped your life, that it might have been another way. Her refreshed reflection on herself years later makes people sigh with her. Youth is a storm, takes you by surprise, you’re frantically flailing your arms thinking you’re dealing with it then it ends before you know it. You realized you could have done better, but there’s no way you could have known then. Oh Koala (and other show fans), the semester is not even over yet, and you have suckered me in. This seems like exactly what I need, so I will be marathoning all three episodes that have been subbed this weekend after chaperoning a student trip to New York City and grading term paper proposals. Who needs sleep when you have that excellent motorcycle ride to watch and rewatch? Once I am caught up, I will start joining in the squeefest. Pearl, are you watching this? I have not heard from you in ages. Trotwood, no, not yet, but this is on my list to watch. I have been busy with Heirs. 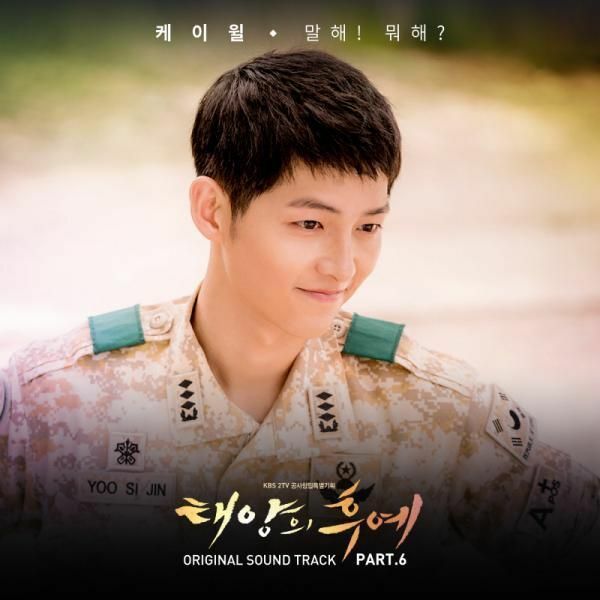 Will join you all after Heirs. thank you so much koala for recapping this! i’m glad i checked this drama out. it’s really an underrated gem. love the male lead, Li Chuan!!! i want one 2!!!! Gosh. I’m so glad I wasn’t the only one rewinding like crazy over the concert date. I was squealing like nobody’s business. Every glance and touch was electric. I particularly love how they always have these awkward silences where they avert their eyes. I can’t explain it other than that it feels so bloody sweet. I kind of like the time jump and I love that Jia En makes a conscious effort not to depend on Liu Chuan. Gawd knows how much I’ve been re watching all three episodes while waiting for tonight’s. Sigh. So far the show is just lovely. I hope that the wonderful chemistry developed so far is not wasted. Loving this drama so much!!! In a Good Way is really jjang and fangirling over Liu Chuan!! YES, YES! Thanks for the recap. I like it, I do! Loved the concert date. Loved how LC waited and waited for JE to ask him to the concert, but she just didn’t think of it, dummy! So he had to ask himself out. The anticipation in those moments perfect. The concert illusion was great. It was fabulous hearing Wu Bai’s voice and seeing LC sing along in the crowd. It felt authentic. I guess that is what I like – nothing feels like !College! Look! 1995! It’s natural and the music sets the tone perfectly. 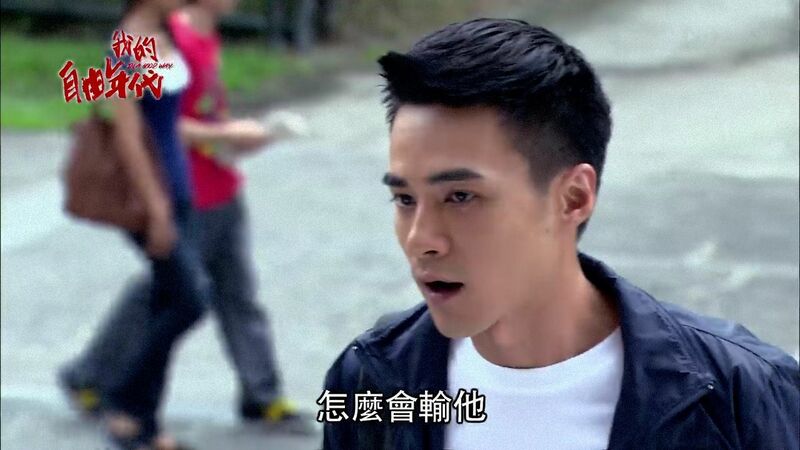 My fav character is LC, of course, but Jay Shih is killing this as Ren Wei. All the conflict with liking JE as a little sister, but wanting to be independent of her, wanting R-E-S-P-E-C-T, loving Snow White but having less than no clue on how to woo her. His blaming JE for all the bad things in his life since she showed up was typical and whiney, but I understood his complaints. He was totally out of line, of course, and I like that JE set him straight by not taking his shiz. After all that, I still like him and I am rooting for him to grow up. Best part of the time jump? We get to see Kirsten Ren’s real hair!! oh koala. i’m not sure what i look forward to more – new episodes of IAGW or your recaps/thoughts of said episodes. thanks so much for introducing this drama to us, and for your amazing recaps and thoughts! gosh! i just read from one of the comments here that this drama airs one episode per week! so it’s a good thing i’m only getting addicted to this now, with 15 episodes already out and subbed and ready to be watched. though i have a feeling i’m gonna be doing some serious marathoning and end up finishing everything in a week, and then pulling out my hair in frustration waiting for next friday. but really, i never expected to be this much smitten over the show. i watched episode 1 last week, but it’s only after episode 3 that i just can’t seem to stop thinking about the characters. i like JE, she’s got lots to learn to be truly independent, but i like that she’s reflecting a lot and doesn’t let herself get pulled down by self-pity when things aren’t going favorably for her. i have a love-hate relationship with RW, heh. i can’t seem to decide whether to call him reckless or tenacious. i guess he’s both. but i like that the drama doesn’t make him into a one-dimensional second lead. his angst are very believable, a provincial boy longing to make a name for himself in the big city. i mean, what’s wrong with that, right? but he certainly has a lot to learn about maturity and loyalty and i hope we’ll get to see that towards the end. by the way, special mention to his sidekicks a di and zai zai. those two are hilarious, a di unwittingly so. and how much do i love liu chan? he’s like this perfectly nice, cute guy that we all hoped to meet when we were younger right? at times he seemed a bit too perfect. but who cares? i’ll take perfection any day. though like koala, i’m excited to see how the drama peel down his layers and show me what makes him tick.